We propose in this paper a background subtraction system for image sequences extracted from fixed camera using Gaussian Mixture Models (GMM) and the analysis of color histograms. 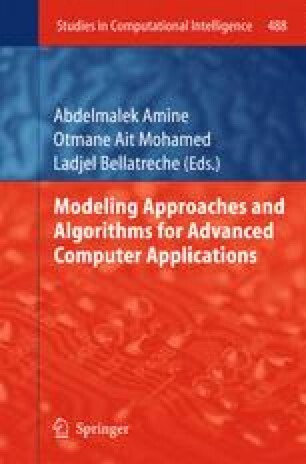 This system can achieve best accuracy than a simple GMM while maintaining the same computational resources. Images extracted from the video will first be divided into several areas of equal size where the behavior of each area is monitored by the analysis of color histograms. For each new frame the color histograms of the zones will be calculated and parts reported to have significant variation in histogram will be updated at the background model. Test carried out show that this approach present best results than a simple GMM. This improvement is important for processing in real time environment.